The cocktail menu constitutes a perfect proposition for small and large events, both private and company ones. An elegant and convenient serving mode as well as the diversity of dishes will surely satisfy your guests. 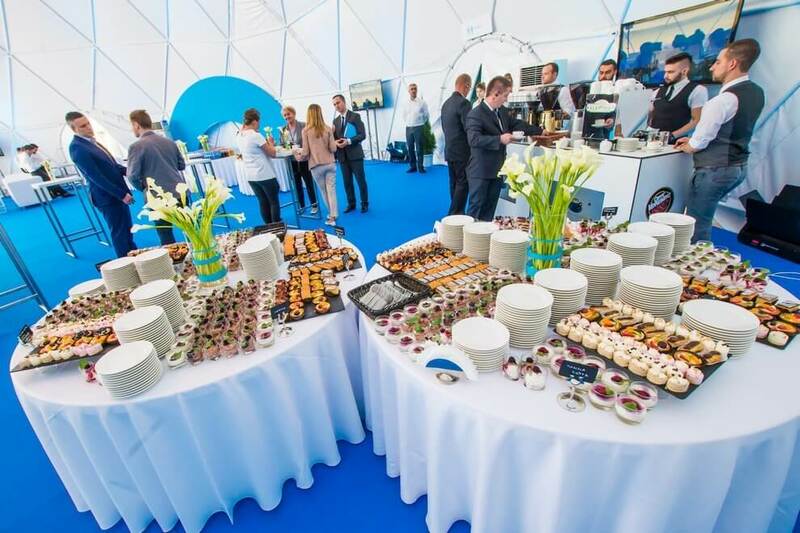 If you plan to organize an event in the nearby future, during which you want to serve your guests both cold snacks as well as warm dishes, then the cocktail catering will be a good solution. By sending the form you accept processing your data in accordance with provisions of the Data Protection Act for the purposes of executing the application. Providing data is voluntary but necessary to process the query. You have been informed that you can access your data, correct it, and request to stop processing it. Lastrada Catering Sp. z o.o., ul. Piastowska 47, 30-067 Kraków is the administrator of the personal data. Copyright © 2017 Lastrada Catering Sp. z o.o., ul. Piastowska 47, 30-067 Kraków, tel. : 500 250 967 lub 507 109 072. All rights reserved.